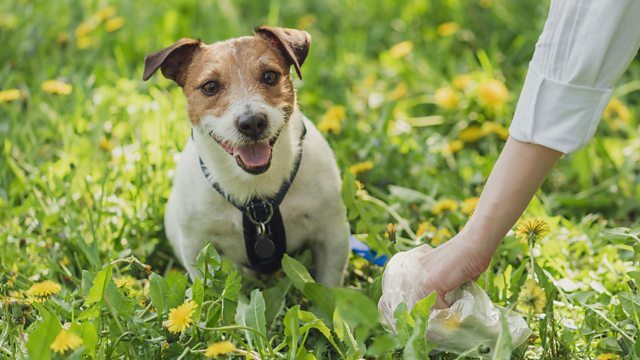 Hundreds of thousands of dogs in the US have had their DNA registered on a database, so owners can be traced if they don’t pick up their pet’s poo. The average dog produces about 124kg of poo every year, but not all of that gets picked up and disposed of properly. So people living in many residential blocks in the US have had their dogs’ DNA registered on a database, in an attempt to tackle problem poo. If they don’t pick up after their dog, a sample of what’s left behind is sent off to a lab so the perpetrator can be identified. The company behind the tests says it works well in private, gated communities but what about public parks and pavements? Could other solutions, such as offering rewards for picking up poo, or posting dog mess backs to the owners, work in the long term? And we hear how Ontario in Canada is collecting dog poo to turn it into energy.